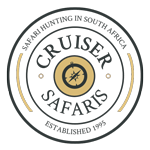 Frequently asked questions regarding safari hunting, Cruiser Safaris. Regarding Safari Hunting with Cruiser Safaris in South Africa. What is included in the Daily Rates? What is not included in the Daily Rates? V.A.T. (Value added tax, currently at 14%) only on daily rates. Are Daily Rates lower for two hunters that want to hunt together? ANSWER: Yes, some hunters prefer to do all of their hunting with a companion. Sharing the actual hunt with a companion, for some people, is very rewarding in the fact that they live each others success as it happens. This is called 2 X 1 hunting, in that there are 2 hunters and 1 Professional Hunter. As our costs are lower, due to our only having 1 Professional Hunter for each hunt, we are able to reduce our daily rates for this kind of a hunt. What are the Daily Rates for non-hunting companions? ANSWER: Non-hunting companions daily rates are the Observer Rates listed on our Daily Rates page. Even though they are not hunting, they are more than welcome to accompany you during all of your hunts. By accompanying you they can share in your accomplishments as they happen or even video tape everything for a permanent memory. Besides the leisure activities of relaxing around the camp with a good book or utilizing our pool or hot tub, there are other activities that they can enjoy while you are hunting. Click here for our "Other Activities" web page. Can I bring my younger children on safari? ANSWER: Cruiser Safaris understands the importance of the family in today's life. It is important for everyone to teach the ethics of hunting and conservation and what better way to do it then with a Family Safari! These will be memories that children will cherish for the rest of their lives. To help with this goal, the non-hunting observer rate for a family member that is under the age of 7 is only 1/2 of the normal rate. Remember though that we are primarily a hunting outfitter and even though we do offer day side trips, we do not have the staffing available for any child care. ANSWER: Trophy fees are the cost for the animals that you shoot. There are different fees for each animal. These fees are also levied in the unlikely event that you wound an animal and do not recover it. We will do everything in our power to try to track a wounded animal, but if we can't find it we have to charge you the trophy fee for its loss. Our trophy fees can be found at our "Trophy Fees" page. ANSWER: Our packages are an economical way to include everything (daily rates & trophy fees) together. Each package includes the trophy fees for different animals. The trophy fee of any animal that is included with your package that you don't take during your safari period will be refunded in full from your safari balance. These aren't just any animal of the species, but representative mature animals. Most of your trophies will make the record book. What happens if I don't shoot some of the animals in my package? ANSWER: As in hunting anywhere, everyone knows that there are a lot of things that can happen during your hunt. Although we do not offer a guarantee we are very confident that you will get all of the trophies that are included with your package. In the extremely unlikely event that you do not get all fo the animals that were included in your packae we will refund 50% of the listed trophy fee for any animals that you did not take. (NOTE: This applies to rifle hunting only.) The only restriction there is to this policy is if you continue to miss a certain animal or for some reason you refuse to shoot a mature animal (one that is recommended to you by your PH) because of some size limitation that you want to acquire, then the trophy fee will not be refunded. Can I add additional animals to my package and what would be their cost? ANSWER: Our packages are designed to ensure that there is enough time available for everyone to get all of the trophies that are included in the package. We allow, on the average, about 1 ½ days of hunting per animal. We also realize that during your hunt you will most likely encounter other animals that are not included in your package. When this occurs the choice is completely up to you whether or not you would like to take this additional animal. If you decide to take it then the trophy fee (as found on our Trophy Fees page) will be added to your safari balance at the end of your safari. If you also want to hunt a Bushbuck, Eland, Klipspringer, Mountain Reedbuck or a Waterbuck, you must add 1 day per animal to the number of days of your package. Can my spouse or child shoot any of the animals in my package? ANSWER: We know that from time to time your spouse, special other or child that accompanies you on your safari would like to shoot an animal also. They are more than welcome to shoot one of the animals included in your package, except a Kudu, at no additional cost. The trophy that they shoot will be considered as the one that was included in your package. Their shooting of an animal can only occur as they accompany you on one of your actual hunts. If you also want to shoot the same animal, providing there is time available, then the trophy fee for your animal will be added to your package price. If they do shoot one of your animals and then they decide that they want to hunt more, they will then be considered a hunter and their daily rate will increase to the appropriate daily rate and any additional animals that they take will be at the trophy fee and these extra charges will be added on at the end of the hunt. What if I am interested in hunting animals that are not included in any of the packages? ANSWER: About 35% of our hunters each year are only interested in one or two of the animals that are included in our packages and they are mainly interested in hunting some of the other animals. With the knowledge of what they are interested in, we set up a hunt for a length of time that should be sufficient to hunt for their requested animals. These hunts are set up based only on the daily rates for the length of their stay and the trophy fees for the animals that they take are added to the cost at the end of the safari. Some hunters even set up a certain length hunt and just want to hunt whatever they encounter during the safari, with no set goals before they arrive. These hunts are also set up by the daily rates for the number of days and trophy fees are added in at the end of their hunt. If this is the type of hunt you are looking our "Build Your Own" hunting package offers discounts off our regular trophy fees. Can my wife and kids or other companions on my safari go along with me during my actual hunts? ANSWER: We encourage any observer in your party to accompany you during any of your actual hunts. In this way they will also be able to share in your special memories as they happen and they may even be able to photograph or video tape the entire event. If they are along on the actual stalk, they must remember to walk as quietly as you and your PH and they must follow all of the PH's directions at all times. Does the hunt start the day I arrive? ANSWER: We do not charge for your day of arrival nor do we charge for your day of departure. Your hunt starts the day after arrival for the length of time you chose. We consider your arrival and departure days non-hunting days. We understand the length of your flight to South Africa and the time involved to drive to our camp. When you arrive we want you to just relax, unwind and settle in. Take some time to unpack and enjoy a sundowner. This is also a great time to go out to our rifle range and make sure that your rifle is still sighted in. On the day of your departure there will be time to pack up, take your trophies to the taxidermist and maybe there will even be some time for souvenir shopping before your flight leaves. What range should my scope be sighted in for and what distances will my shooting be at? ANSWER: The average distances for shots in our area are between 80 and 125 yards. On occasion there may be shots up to 175 yards, but normally they are less than that. For long shots you should be very comfortable before taking them as tracking a wounded animal in the bush will use up valuable hunting time. I recommend that your scope be sighted in for 100 yards as most of your opportunities will be in this area. For our Free State concession, the average shot will be 200 yards. ANSWER: Value added Tax (VAT) is charged on the daily rate of a hunting/observation safari. This can be compared to sales tax in the United States. This is not refundable. There is no VAT charged on the trophy fee if the trophies are to be exported under specific regulations set out by the Receiver of Revenue. Currently VAT is 14%. Please note that while the trophy fees are not subject to VAT if the trophies are to be exported, VAT is levied at 14% on the dipping and shipping services and/or for the tanning of skins done. Should the trophies be process in South Africa, VAT is levied at 14% on 30% of the taxidermy value, as agreed between the taxidermy industry and the Receiver of Revenue. Does Value Added Tax (VAT) apply if I'm on a package hunt? ANSWER: Yes. The package hunt is a combination of both daily rates and trophy fees. The daily rates for a package hunt are figured on the current 1 X 1 daily rate per day and thus you will be responsible for the V.A.T. based on the number of days of your package. For additional information about weather, hunting clothing, currency and electricity in South Africa, other activities and much more, visit our General Information pages.